Summer has arrived with its highs and lows, but no matter what, it’s time to be outdoors. 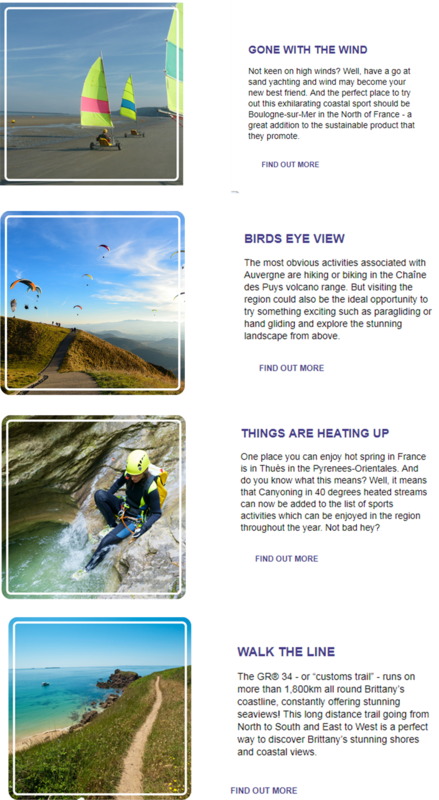 And to help you with this, we have selected four activities throughout France to get you out and about. If cycling is up your street, we have just the ticket – The Tour de France is kicking off on 1st July and for the first time in 25 years will be going through the five mountain ranges. We’ll be glad to watch it from the comfort of our own home, but to get an exclusive insider view on the Tour, keep your eyes open for exclusive coverage on franceuncovered.com and for our Twitter updates.